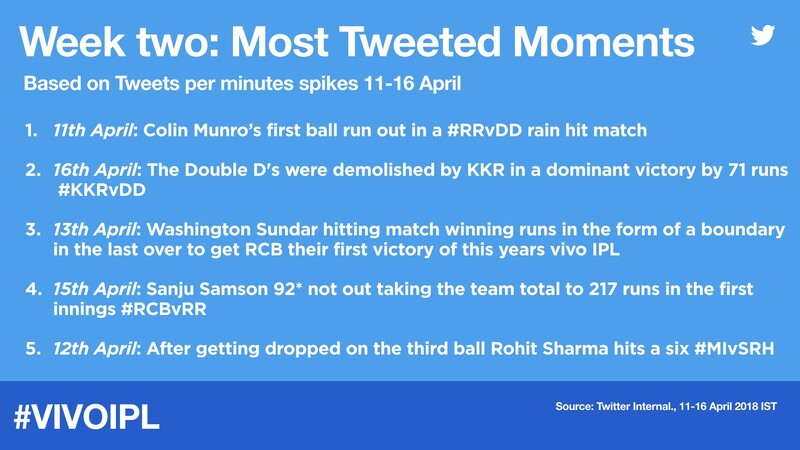 With each IPL team being provided with their very own emoji and some teams opting for hashtags in their regional languages, the conversation about Cricket on Twitter has been tremendous. Among #WhistlePodu from CSK, these were all the other IPL team hashtags on Twitter this year, and more insight into a recap of all the IPL buzz on Twitter. 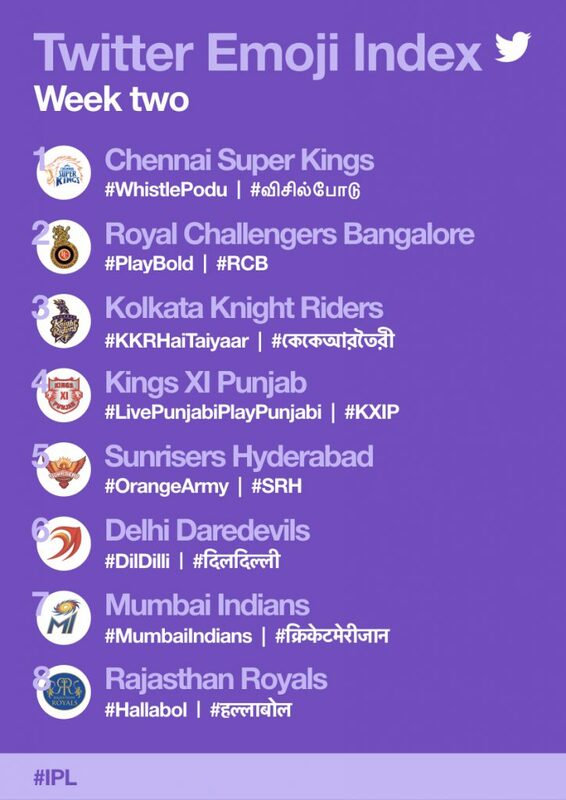 A list of the most used team hashtags on Twitter during the Week 2 of IPL. 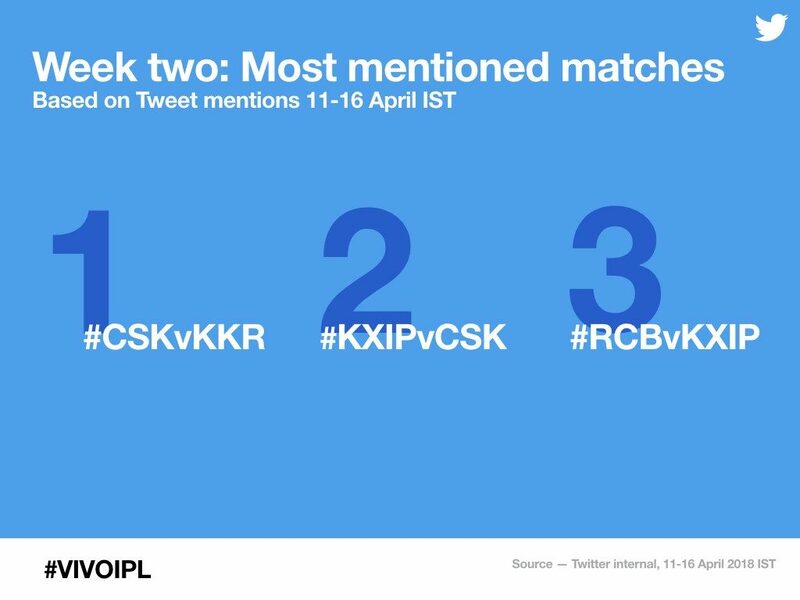 These were the most mentioned IPL matches on Twitter during Week 2 which included the CSKvKKR thriller, among other matches. Will miss playing on our home ground and entertaining our #Chennai fans this season…You are always in our hearts. A win at #Chennai infront of our fabulous home crowd, after more than a 1000 days. Calm & composed innings from @sambillings under pressure to take us over the line. How close! Win or Loss, we love you #Thala! 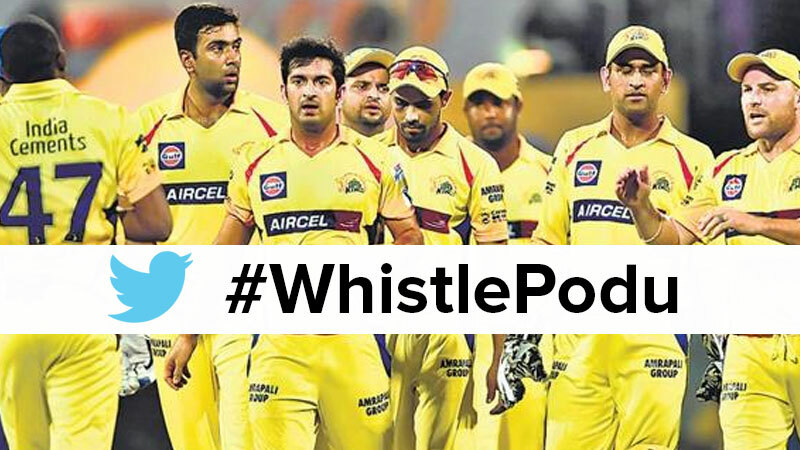 #WhistlePodu #Yellove #KXIPvCSK? ?